After having enjoyed two years of staggering growth, the gaming PC market has started experiencing a slowdown in 2019. Gaming notebooks’ share of overall notebook shipments has reached 15% now, but is unlikely to surpass 20%, said Hou, adding that the company will place more attention on promoting its ultra-thin notebooks that have more potential than gaming ones in the long term. Gaming PCs will remain a key focus for Acer Asia Pacific in 2019, followed by the enterprise models and then ultra-thin products. Acer has recently announced the ConceptD, a key product line for the enterprise sector, Hou noted. Acer Asia Pacific achieved an on-year sales growth of 9.3% in 2019 driven by strong demand for its gaming PCs. The company had on-year growths of 13% and 23% in the first and second quarters of 2018, respectively, but an 8% growth and a 4% drop in the third and fourth quarters of 2018, respectively due to shortages of Intel’s CPUs. Hou expects 2019 to be a difficult year and is bracing for flat or slight growth. In addition to the ongoing CPU shortages in the first half of 2019, weakening demand for gaming products and elections in several Asia Pacific countries are also undermining PC brand vendors’ performances. Thailand had an election at the end of March, while India’s “marathon” election started on April 11. Indonesia will have one on April 17, while the Philippines will hold one on May 13. Since governments’ procurement orders are usually deferred or halted because of elections, vendors’ orders from the countries’ enterprise sectors are affected, Hou said. For its ultra-thin product line, Hou is now asking for a sales proportion higher than average in each of the Asia Pacific markets. In Vietnam, Acer raised its ultra-thin models’ share in the company’s overall notebook sales from 6% in 2017 to 21% in the first quarter of 2019, higher than the average of the top-5 brands locally and helped bring Acer back to profitability in the country. At the moment, ultra-thin models only command about 20% of overall notebook shipments, but the percentage will continue growing to as high as 70-80%. Although ultra-thin notebooks are unlikely to enjoy a staggering growth as gaming notebook did, they will provide stable long-term sales. Acer is currently seeing above-average (top-5) sales proportion for its ultra-thin notebooks in Taiwan, Malaysia, Vietnam, Thailand and New Zealand. Acer performed strongly in Japan, South Korea, Indonesia and Taiwan in the first quarter of 2019. The company’s revenues from Japan and Korea both increased 24% on year, while those from Indonesia went up 23% and Taiwan 9%. The company’s revenues from Thailand, Malaysia and Hong Kong were flat from a year ago. 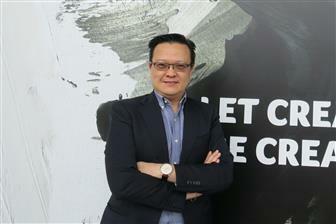 Overall, Acer Asia Pacific’s revenues had a flat performance from a year ago. As for gaming, Acer’s revenues from Asia Pacific more than doubled in 2018, while the growth was 182% in Thailand, 114% in Indonesia, 181% in both Malaysia and Vietnam and 221% in India. The company’s goal for 2019 is to become the top gaming device seller in Indonesia, Vietnam and Malaysia and continue doubling its revenues in most Asia Pacific markets. Acer is also planning to host Predator League e-sport tournament in the Philippines in early 2020 and is considering charging an entry fee for the event.